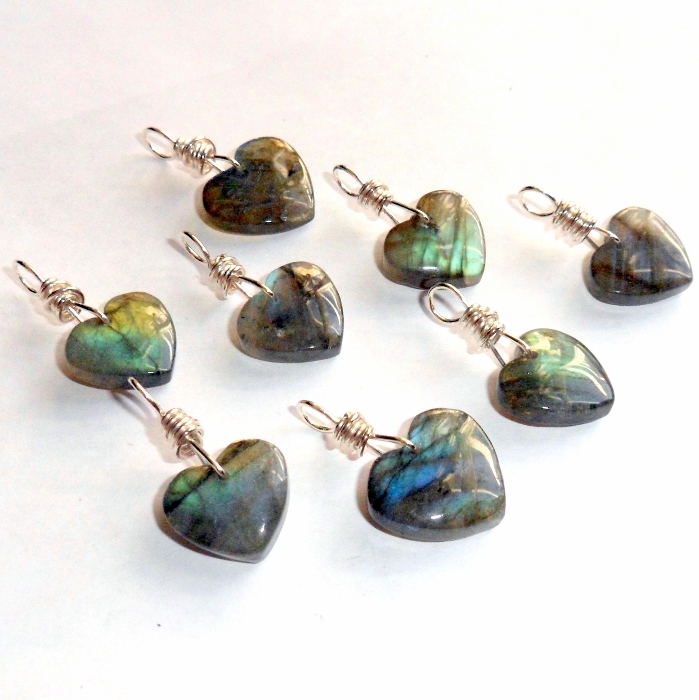 Gorgeous labradorite heart shaped gemstone pendant wire wrapped in sterling silver. 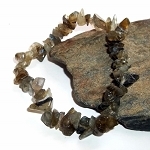 Labradorite is a powerful wind element gemstone that promotes strength and unity. According to an Eskimo legend, the Northern Lights were once imprisoned in the rocks along the coast of Labrador. It is told that a wandering Eskimo warrior found them and was able to separate most of the lights with a mighty blow of his spear. Some of the lights were still trapped within the stone, and thus we have today the beautiful mineral known as labradorite. 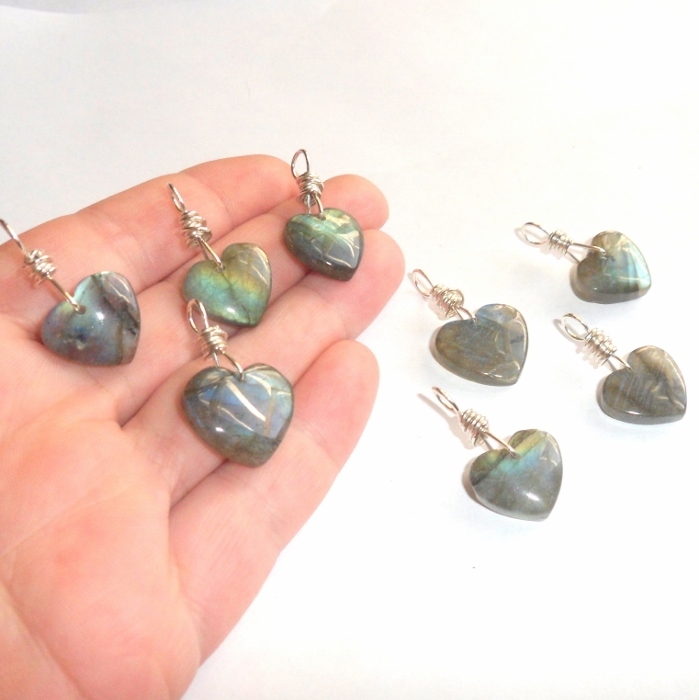 Labradorite hearts are approximately 5/8 inch to 3/4 inch each. Overall drop length 1 1/4 inch. 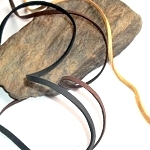 Pendant bail hole is 5 mm diameter and will fit on any earthegy chain or cord available separately. 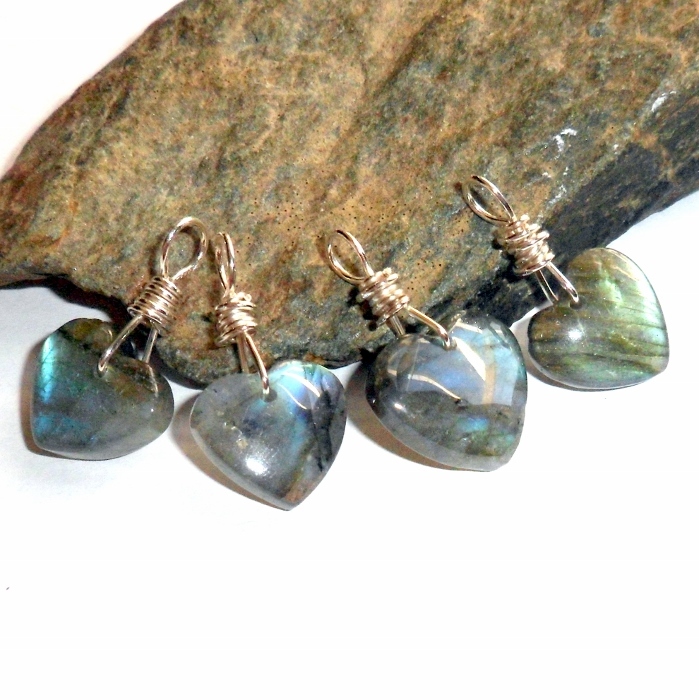 You will receive one of the labradorite hearts photographed and all of them have superb flash.